From Wikipedia, the free encyclopedia Katheryn Elizabeth Hudson (born October 25, 1984), known by her stage name Katy Perry, is an American singer, songwriter and actress. 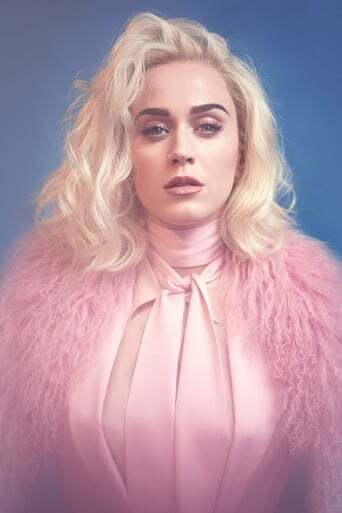 Perry grew up with gospel music, and during her first year of high school she pursued a music career as Katy Hudson, releasing her first studio album called Katy Hudson which failed to chart. She recorded a solo album later, which was never released. After signing with Capitol Music Group in 2007, her fourth record label in seven years, she adopted the stage name Katy Perry. She first gained recognition with the release of her first mainstream album, One of the Boys in 2008, which spawned three Billboard Hot 100 top-ten songs—"I Kissed A Girl", "Hot n Cold" and "Waking Up In Vegas". Perry supported the album with her Hello Katy Tour. In 2010, her third studio album, Teenage Dream (2010), which topped the Billboard 200 chart, and spawned five number one singles—"California Gurls", "Teenage Dream", "Firework", "E.T." and "Last Friday Night (T.G.I.F. )"—Teenage Dream was the only album (after Michael Jackson's Bad)—to do so, and the first female in history to achieve this milestone. She embarked on the California Dreams Tour, which grossed nearly $60 million worldwide. Perry re-released the album under the name of Teenage Dream: The Complete Confection on March 26, 2012, and the re-release has already spawned the number-one single "Part of Me". Perry is the only artist to spend over 52 consecutive weeks in the top ten of the Billboard Hot 100, and has since heightened this to 69 weeks. As of 2012, Perry has been nominated for eight Grammy Awards. She was named 2011's "Artist of the Year" by MTV. She has sold 37.6 million digital tracks in the United States and 11 million albums worldwide. Perry was a guest judge on the seventh series of The X Factor UK and the ninth season of American Idol. She has released fragrances "Purr" and "Meow". She ventured into film, voicing Smurfette in the 2011 film The Smurfs. Perry was married to British comedian Russell Brand from 2010 to 2012. Description above from the Wikipedia article Katy Perry, licensed under CC-BY-SA, full list of contributors on Wikipedia. Oct 25, 1984	In Santa Barbara, California, U.S.